We searched PUBMED, EMBASE and Cochrane library through June 2018 to retrieve and screen published reports for inclusion in the meta-analysis after methodological assessment. Heterogeneity of studies was evaluated using I2 statistics, while sensitivity analysis and funnel plot were used to evaluate the potential effect of individual studies on the overall estimates and publication bias, respectively, using RevMan 5.3. 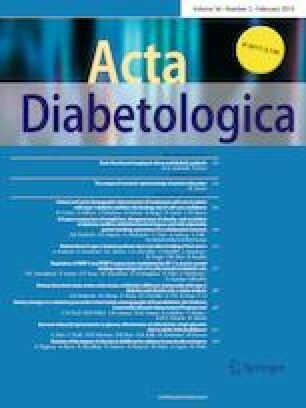 Eight articles on randomized clinical trial of oral BCAA supplementation, and seven articles on dietary BCAA intake and type 2 diabetes/obesity risks were eligible for inclusion in our meta-analyses. Mean difference and 95% confidence interval (CI) of circulating leucine was 39.65 (3.54, 75.76) µmol/L, P = 0.03 post-BCAA supplementation. Also, OR and 95% CI for higher total BCAA intake and metabolic disorder risks were, 1.32 (1.14, 1.53), P = 0.0003—type 2 diabetes and 0.62 (0.47, 0.82), P = 0.0008—obesity. Oral BCAA supplementation exerts modest influence on circulating leucine profile and higher total BCAA intake is positively and contra-positively associated with type 2 diabetes and obesity risk, respectively. The online version of this article ( https://doi.org/10.1007/s00592-018-1243-7) contains supplementary material, which is available to authorized users. APO, RNF and CLL conceived and designed the meta-analysis. APO, MZ, ZW, XYW and JUO carried out the literature search, data acquisition and analysis. APO and RNF reviewed the literature search, data acquisition, and quality assessment. APO, RNF and CLL wrote the paper. APO, MZ, ZW, RNF and CLL revised the paper, and all authors approved the final version for publication. Funds from the Postdoctoral Science Foundation (2016M600264 and LBH—Z16253) were used in conducting this study. APO (2015BSZ778) and JUO (2017BSZ011594) were supported by the China Scholarship Council. This article does not contain any studies with human or animal subject performed by any of the authors.